This is a free game that mixes hot action with tricky puzzles. It's in the tradition of classic games like Boulder Dash or Adventure of Lolo. Your goal is to remove all colored blocks in 30 levels. Besides a good portion of dexterity, the player needs to do a lot of brain work to solve the logical puzzles. 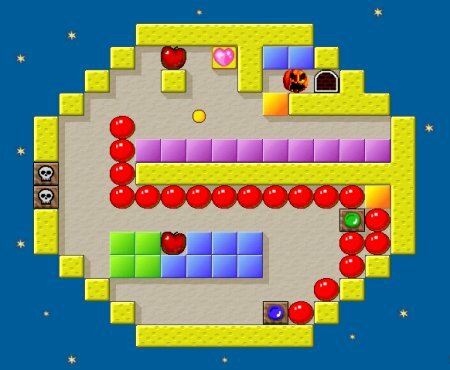 Drop bombs and outwit your enemies to get access to blocks, which seem unreachable at first sight. Did we mention that this 30 levels long cult-game is a free download? ??? ?-WE ARE HERE:???? ???? ?? ?